Read-out Instrumentation Signpost: Safety working with robots. 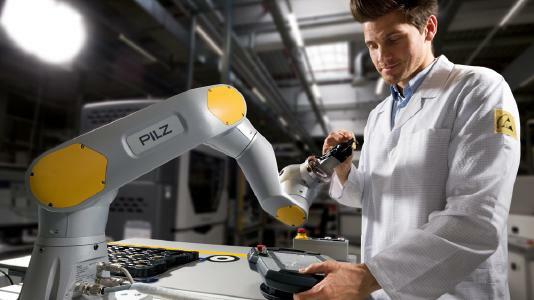 The BMW Group is working with Pilz for safety when working with robot assistants, : the automation company carries out the conformity assessment including final CE marking. Thus Pilz ensures safe human-robot collaboration (HRC) at multiple production sites of the BMW Group. One of the particular challenges when it comes to safety is presented by workstations where humans and robots work together without guards. Here the BMW Group both in Europe and in the USA is trusting in the expertise of Pilz: the automation company is conducting the conformity assessment procedures required by law at a variety of production sites of the BMW Group in Germany, England and the USA, from risk assessment through the safety concept and validation to the CE marking of multiple applications. Pilz signs the final declaration of conformity as authorised representative, taking responsibility for ensuring that every application meets the requirements of the respective market. The BMW Group employs flexible robot assistance systems in its production. Here workers and robots work together “hand in hand” in the most confined of spaces – entirely without safety fences. While there may and can be collisions between humans and machines, these must never present a danger to the humans. That's why the validation of HRC applications takes on particular importance: the experts from Pilz use a safe and reliable measuring process to determine whether the possible collisions are acceptable in terms of safety. With the BMW Group, as with other customers, Pilz uses a collision measuring set it has developed in-house.